How do alternators work on board ships? Do you know how do alternators work? Before going into the details of the user of alternators on board ships, let us understand some basic working principles of the same. When a coil of wire is rotated in a magnetic field an electric current is generated. 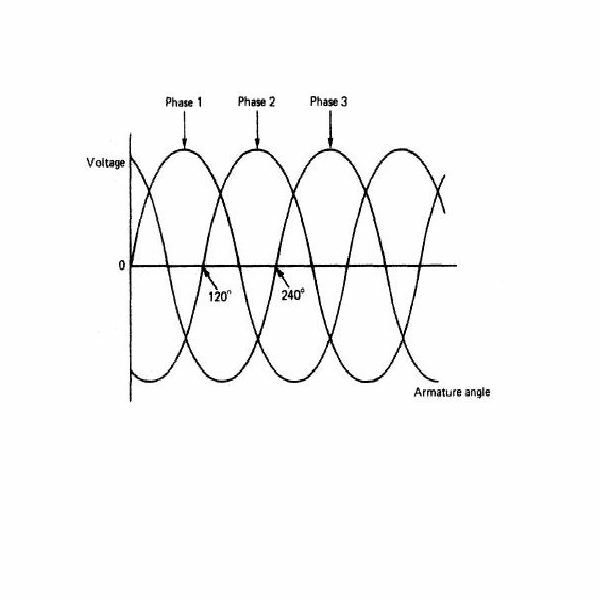 This current is called as alternating current as its direction and value keeps on fluctuating. The current can be collected from the coil with the help of slip rings which are fitted with carbon brushes. The same principle is used on board to generate electricity. The alternator can be attached to an auxiliary engine or can even be attached to the main engine or the propeller shaft. The main parts of an alternator are – a stator and a rotor. The arrangement can be of two types. One in which either the rotor is stationary and the stator is moving or one with rotor moving and the stator is stationary. We will consider an arrangement in which the rotor is moving. 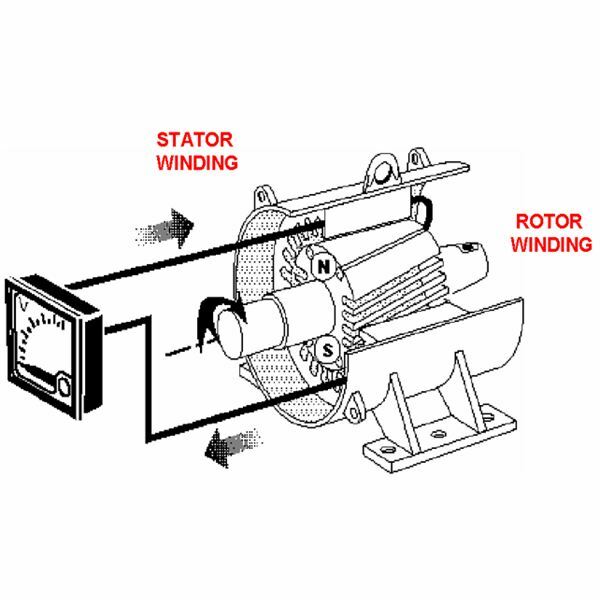 As shown in the figure, the rotor is located in between the stator. The alternator is connected to an auxiliary engine. The rotor shaft is attached with slip rings and fan. The rotor houses the poles. The shaft fan drives the air over a heat exchanger which is water cooled. This air is used to remove the heat generated in the windings. The stator surrounds the rotor and is attached to the three phase windings. In case, the alternator is connected to main engine or propeller shaft, then there will be too much variations in the speed. Thus in order to provide a constant speed, a gear box arrangement is provided. electromagnets are so arranged that the adjacent poles have opposite polarity. These poles are connected with an output arrangement to derive the current. Generally the coils are connected with minimum three outputs which are arranged with a phase separation of 120 degrees to produce a three-phase supply. The supplies are connected either in star or delta connection. Star connection which is generally used requires four slip rings. 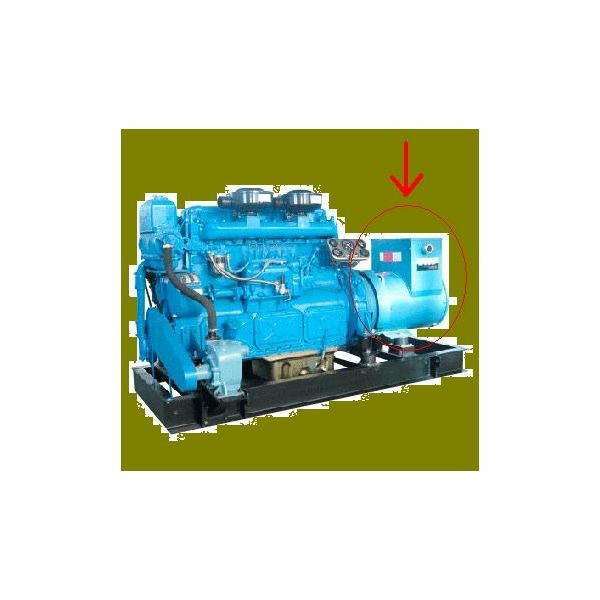 For heavy duty alternators the arrangement of stationary rotor and rotating stator is used. The field current is supplied with the help of low voltage DC generator also known as an exciter. All the mordern alternators are high speed brushless types and don’t require an external exciter. The voltage generated is not steady and its often difficult to control the excitation. For this purpose, Automatic Voltage Regulator (AVR) is used. AVR detects the variation in the output voltage of the alternator and sends a signal to an amplifier. The later corrects the excitation to provide a steady voltage. The static excited alternators uses a static excitation which can accept sudden loading with the help of squirrel cage motors. It also uses transformers and rectifiers and transfers current to the field coil with the help of brushes and slip rings. The brushless high speed alternators also doesn’t use any DC exciters. 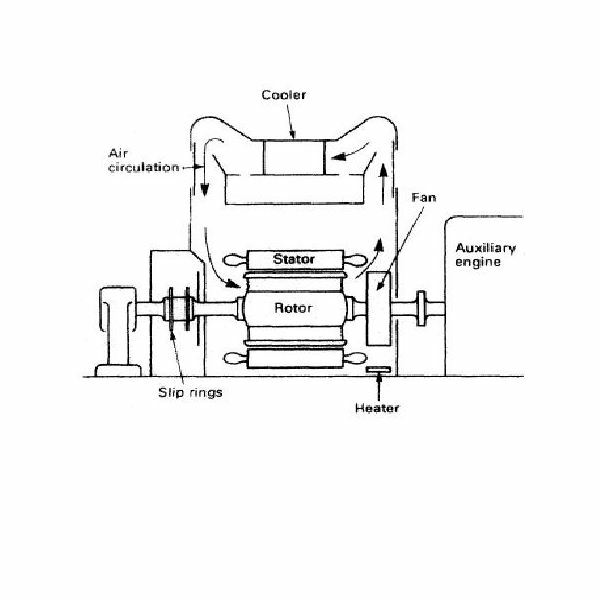 The alternator rotor carries a rectifier which transfers the voltage through the shaft into the alternator field coils. The adjacent diagram shows a marine alternator which is marked by the red coloured circle and an arrow pointing towards it. Of course the entire system is the complete generation set consisting of the generator and only the marked part is the alternator.